If the thought of preparing your own baby food finds you fleeing headlong toward the baby food aisle at your nearest grocer’s, chef Tyler Florence has you in his sights. 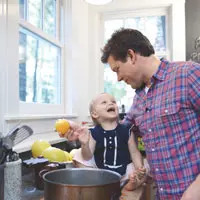 Just as he does with Tyler’s Ultimate on the Food Network, this popular chef is engaging parents with an easy-going instructive style to engender a love for lifelong healthy family eating. “Because my wife and I cook with our children daily, they get a chance to taste everything. Ever since they were old enough to sit up, we’ve made sure they had a front row seat, banging on the pots and pans on the floor of our kitchen, while we sliced and stirred and sautéed,” writes Tyler in the opening of his latest cookbook, Start Fresh: Your Child’s Jump Start to Lifelong Healthy Eating. Not true, says the chef, and in Start Fresh, with lots of instruction and simple directions, Tyler is urging parents to get pureeing. Pureed foods make the perfect starter foods once a baby is 4 to 6 months old, when breastmilk or formula are still a baby’s main nutrition. Tyler recommends starting with single-ingredient purees, like apples, squash or carrots. “At this stage, we’re looking for a super-smooth puree with no pulp or chunks whatsoever,” Florence advises. Begin by steaming, not boiling, foods until they’re soft—to keep nutrients from being thrown out with the pot water as they’re cooked out of the food. Most pediatricians recommend that you introduce one new food a week to ensure your baby’s not allergic. Next, says Tyler, move to flavor combinations, such as spinach and bananas or green beans and potatoes, or carrots and apples. As your baby sprouts teeth, so might his love for more texture. Move from pureeing to fork mashing to make dinner more interesting, says Tyler. And as you continue to introduce more solids, don’t forget the importance of family meals, says this chef. “Studies have shown children who eat together with their families on a regular basis have better language skills, get higher grades, and are less likely to experiment with alcohol and drugs,” cautions Tyler. To that end, he offers up new twists on minestrone, sweet potato and blueberry pancakes, sourdough pizza, and butternut squash mac and cheese to please more complex palates. 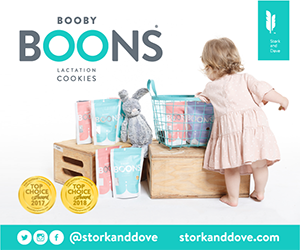 Along with a love for greens, Start Fresh has a decidedly organic orientation, cautioning parents to avoid plastics in cooking or heating babyfoods. Avoid anything with the plasticizer Bisphenol A (BPA), a known environmental estrogen that disrupts hormones once in the body, in any baby products, including storage bags, plates, bottles, cups and bowls, he says. “As parents of this new generation, we have a leg up on what our parents knew about health, nutrition and obesity. It’s time to stop making excuses about what we put on our tables and in our children’s bodies and recognize that companies that produce cheap foods are not doing you a favor,” says the chef. Arrange the apples and plums skin-side down on the baking sheet. Roast until they look as if they have burst, 30-40 minutes. Remove the baking sheet from the oven and let the fruit cool slightly. In a food processor, combine the roasted fruit, maple syrup, cinnamon and nutmeg and process to the desired consistency.